A place to pay tribute to a man’s sacrifice for having to go to so many open mics. Never remember me. Isn’t it beautiful? Please don’t make me go extinct like the dinosaurs. I did it! The Update nobody but me wants to see! After four long years of procrastination and realization of the actual usefulness of the website (and tired of bleeding cash) I've decided to add a feature that will cover the dreaded Squarespace annual charge of $192 and as soon as I hit that goal I'll disable the button/link until next billing cycle. All donors will remain anonymous unless requested via Twitter or Email (trevorskies@gmail.com) but I’ll probably hit you up first if you want a mini bio or something. Be part of history. Be part of the legacy. Marketing. Seriously, if you have a certain profile you want to link out let me know. Any request in general. I’m kinda a whore for money. I'll update you on how close I get. We’re in 2019 and last year my $192 dollar goal was sadly not met and personally I blame most jobs not paying employees enough to have cash to spare. I work for Kroger, I know. 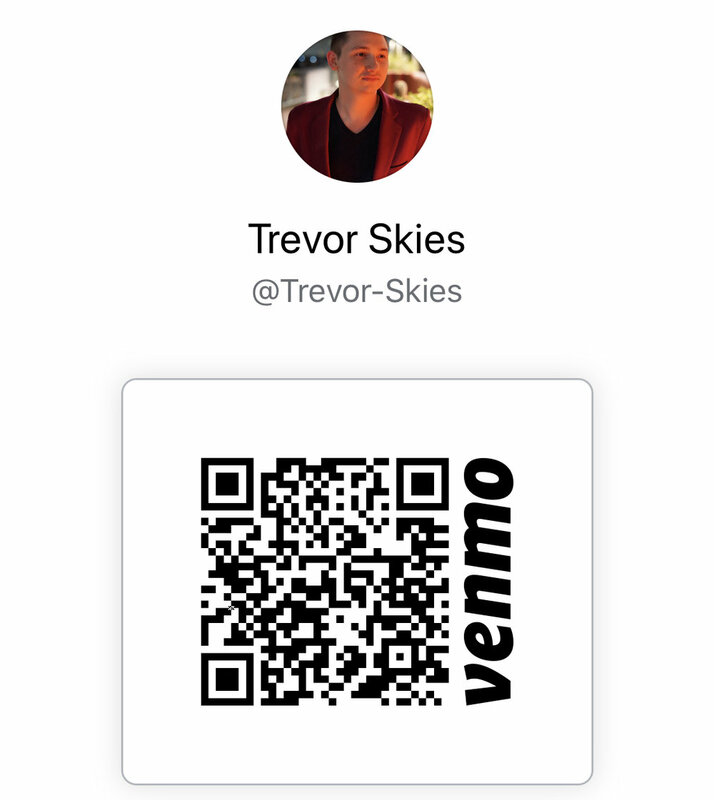 Another major factor may be the 3rd party Stripe payment system which Squarespace leaves as the only option to receive donations and I find the software kinda *bleh* sooo I’m adding my Venmo QR code as well which you can use to donate whatever you can. Just help me reach $192 for the love of god. Once again as you’ll read below the fam has helped me out to an early start. Arizona Lou - Want to see Lou LIVE?! He has a website tooooo and has so many links you’ll go “Wow. Thats alot of links” to stuff you didn’t even know about. LOUisms? My favorite out of the…269! Jesus Lou. So prolific. My favorite out of the one I looked at was number 54 which is “Indecision is often worse than the wrong decision - Barnum.” Hey wait. I thought LOUisms were like uhh your own words not another persons…nevermind. Thanks for the donation Lou! Hector G. - The "G" stands for g-g-generous! (also Garcia) Hector hails from somewhere in Texas and you can see him hitting the scene allllll week. If you follow him on Snap @hectorgarciajr you can see him uploading absolutely everything in sight. Thanks again for the donation bro! Ashwin - I’ve caught Ashwin running around the scene and from what I’ve seen he’s a funny dude I see at Devils and Woodshed and you can catch him grinding the scene throughout the great state of Arizona. Thanks Ashwin! Carrie Carson - Here’s her Twitter handle. Thanks Carrie! Carry on. Mark Flores - New guy just met him and GREAT first impression. TY Mark!